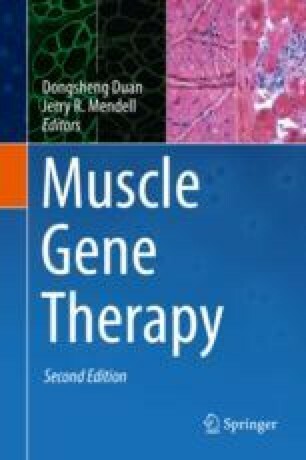 Antisense-mediated exon skipping is one of the most promising therapeutic approaches for the treatment of Duchenne muscular dystrophy (DMD). In the past few years, this RNA-based strategy, mostly mediated by antisense oligonucleotides (AOs), has moved toward clinical evaluation, has demonstrated encouraging results, and has led the FDA to grant accelerated approval to one of these compounds recently. However significant clinical improvement in DMD patients has not been shown thus far, and AO-mediated exon skipping still faces major hurdles such as low efficacy in targeted tissues, poor cellular uptake, and relatively rapid clearance from circulation. These properties drive the need for repeated administrations in order to achieve a therapeutic response, with the negative consequence of accumulation in tissues and associated toxicity. To overcome these limitations, small nuclear RNAs (snRNAs) have been used to shuttle the antisense sequences, offering the advantage of a correct subcellular localization with pre-mRNAs and the potential for long-term correction when introduced into viral vectors such as adeno-associated virus (AAV) vectors. In this chapter, we review the development of the AAV-snRNA-mediated splicing modulation for DMD, focusing on the advantages offered by this technology over classical AOs as well as the challenges limiting their clinical application. The authors have financial support from the Agence nationale de la recherche [Chair of Excellence HandiMedEx], the Institut National de la santé et la recherche médical (INSERM), the Association Monégasque contre les Myopathies (AMM), and the Duchenne Parent Project France (DPPF).